There are two very complimentary pieces at work in Ken Dryden's return to the world of hockey books. 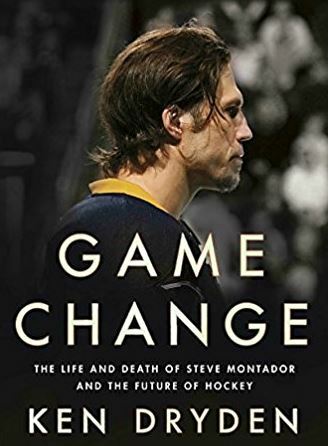 In Game Change: The Life and Death of Steve Montador, and the Future of Hockey, the Hall of Fame goaltender tells the rise and fall of Steve Montador, a defenceman who played in 571 NHL games with six teams; it's a tale on its own that maybe wouldn't have merited its own book. The parallel track is about concussions, how they happen, what the medical community understands about them, how it changes people – both the person with the concussion but also their friends and family. With a less-skilled writer, it could have been a mess. Instead, Dryden has delivered a page-turner. The insight into Montador begins with cooperation from his family and ends with a harrowing journey into his personal journal during his last seasons in the NHL, his thoughts shaken and stirred by concussion after concussion. Concussions, and the broader picture of safety in hockey, has been of interest to Dryden for a while now, and he itched to write more. “I knew if I was going to do anything more about concussions, it needed to be a book, and I knew that if I was going to write a book that the core of it had to be the story of a player, because it had to be the story of a life. The concussion would be part of a life, but it's the life that gives meaning to the concussions, and it gives an understanding of what the implications are, really, of a brain injury. Without it, it's just something that's regrettable for a player,” he said. As he was preparing for the project, Steve Montador died on February 15, 2015. His death shook the hockey world, for a moment at least, and Dryden saw Montador's tragedy as something he could work with. “I knew I didn't want to write about a star's end of career, because then it would somehow be about the star, about the star-ness of somebody,” said Dryden. “Steve was not a star. He was much more like most players, so it was just that timing that lead to it.” The project rolled from there rather quickly as Dryden's extensive network meant that he was closer to Montador than he knew, through Dr. Charles Tator, who knew Steve's father, Paul Montador. The co-operation of the Montador family built through time. He met with them in person and made his pitch. “I needed their enthusiastic participation because I never met Steve. It's not like somebody else that you write a biography of, where there's a whole literature that is out to consult, that you can work off of,” he explained. Likewise, he needed the support of an important physician, like Dr. Tator, who has studied concussions, to make the connections in the medical community. Fortunately, everyone was on board. “It wasn't until I heard that from the Montador family and also from Charles that I finally decided to go ahead,” Dryden said. 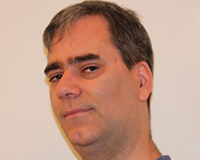 The trust of the family really comes through when, towards the end of Montador's story, his personal journal is cited. The journal came into play very late in the writing process, as Dryden was unaware of its very existence. And even when he got it, Dryden wasn't sure what to do with it. “Journals are tricky because ... I've not done a journal myself, but my impression is that journals are places to kind of dump out your feelings and thoughts, and they represent that freedom at a particular moment to get out everything. Then 15 minutes later, you may feel very differently, and tomorrow you may feel very differently,” said Dryden. The journal shows Montador's approach to games with the Blackhawks, his goals on the ice, whether it was hits, assists, goals, plus/minus. From the hockey world, Dryden got to talk to numerous friends, teammates, coaches and management of Montador's, and they all help complete the picture of a man. They are open and honest, and at times it's a heartbreaking read. On the medical side, Dryden steered away from some of the usual voices on concussions like Chris Nowinski of the Concussion Legacy Foundation and Dr. Bennet Omalu. Whereas the movie, Concussion, had Will Smith playing Omalu as a thorn in the side of the National Football League, Dryden points out that the story really begins with the death of former Pittsburgh Steelers center Mike Webster, who becomes the first former NFL player diagnosed with chronic traumatic encephalopathy (CTE). The push and pull effect comes into play. Science takes time, and the NHL or NFL team wants their player in action for the game tomorrow. Dryden goes through many of the talking points on concussions, from helmets to in-game concussion protocol to a scientist slicing up a brain. He sees them all as a distraction to the bigger picture of player safety. What will get a lot of attention are Dryden's two primary arguments / suggestions for changing the game: One, that “finishing your check” should be eliminated from hockey, meaning that only the player with the puck can be checked; and two, that all head hits be illegal, including fighting. It will get plenty of traditionalists up in arms, which is the whole point – let's talk about the issues. The image of the retired goalie, forever in our minds leaning on his goalstick, his Canadiens teammates down ice on offence, lends itself well to his latest role as a good listener. Game Change: The Life and Death of Steve Montador, and the Future of Hockey is out now from Penguin Random House. As much A Century of NHL Memories: Rare Photos from the Hockey Hall of Fame is about players and moments, it's also about photography and the photographers. While going through the book, I made note that photo geeks (and I mean that in a loving way) will love this book and its attention to detail. Photos keep whatever crop marks are on the original image, very little clean-up is done on the shot, and the source format—film, slide, glass!—is listed along with a credit for who took the picture. In today's world of instant gratification, an image can quickly get shared millions of times without crediting the source, so the painstaking background work is appreciated. Though the book is credited to Phil Pritchard, the Hockey Hall of Fame's Vice President, Resource Centre and Curator, and more famously, the “Keeper of the Cup” in his white gloves and HHOF jacket, and author Jim Hynes (Saving Face: The Art and History of the Goalie Mask and other books), Pritchard says it was very much a team effort, from concept especially to selection of the photos. With a couple million original images to choose from, the goal was to not just show the usual shots, like Bill Barilko's winning goal for the Toronto Maple Leafs in April 1951, but also something different. Instead of the iconic shot of Bobby Orr's Stanley Cup-winning goal in the spring of 1970, two shots taken from different angles around the same time as the famed shot by the late Boston photographer Ray Lussier run in the book. A small quirk, bound to bring a smile back to many faces, is the return of past arena names. The Corel Centre in Ottawa is a great example, and since the photo used of Marty Brodeur, puck in flight approaching his glove, is from 2006, that's where it is labelled as being from. The photographic equipment changed too, from posed shots because the action was too fast for the speed of film, to remote-controlled digital cameras in the nets. Some of the most unique shots are of the photographers themselves, chasing down someone on the ice for a photo, or a posed self-portrait of probably the most important and influential hockey photographers in history, Nat and Lou Turofsky, who called Maple Leaf Gardens home. With the Toronto Maple Leafs celebrating their 100th anniversary in 2017, veteran Toronto Sun hockey writer Lance Hornby knew he wanted to do something in longer form. The concept he came up with, Toronto and the Maple Leafs: A City and Its Team, isn't strictly a hockey book. “It's my White Album essentially. 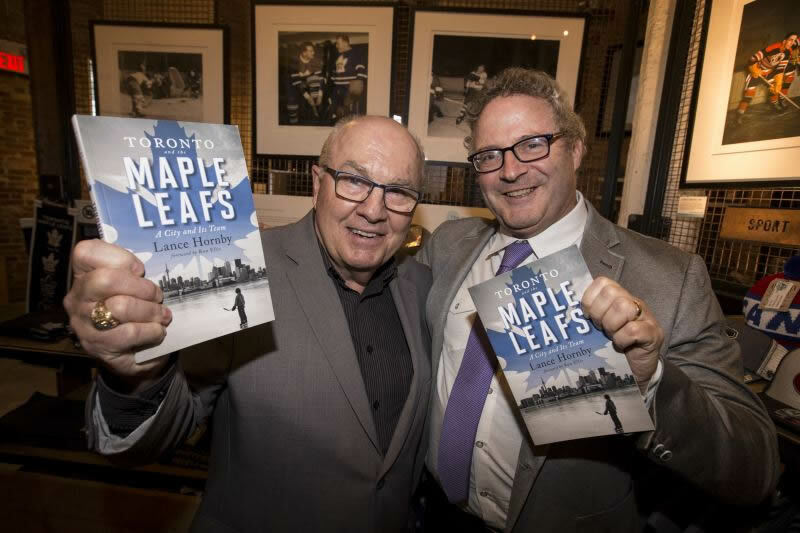 It's all over the place with a lot of things to do with the Leafs,” joked Hornby at the the book launch at Toronto's SPORT Gallery in October 2017 (referencing the final album of the Beatles for those who never leave the rink). In its essence, it's an argument that the Toronto Maple Leafs are more than just a hockey team. “All these things touched the Maple Leafs, so that's why I think they are so special to Toronto,” said Hornby, reminding everyone the reach of the Leafs expanded across the country through “our fathers and grandfathers who listened to Foster Hewitt” meaning that there are still plenty of Leafs fans across Canada. Toronto and the Maple Leafs: A City and Its Team is out now, from ECW Press.